Before Nationwide moving company comes, We recommend the following moving tips, to help make the move go smoother on moving day. Unfortunately, problems do sometimes happen. Although these are normally caused by outside influences, such as late completion, delays, or people not being ready for the move. Any potential move day setbacks can be minimized by having better communication between yourself and your movers. By communicating thoroughly, the movers can get things out of the home that are supposed to go, instead of wasting the customer’s valuable time trying to move things that will not be going in the move. Also, having advance, accurate knowledge of how much will be moved, will also save time and money. It’s okay to share as much information as possible, so you have a GREAT move! Just let your movers know exactly what needs to be done by communicating with them. There are a lot of moving companies out there, that do not have insurance and if damages occur, you “the customer” have to pay for those damages yourself, out of your own pocket. It’s better to ask questions ahead of time and before anything arises, so you don’t have to deal with costly issues later. When preparing for your move, make sure you don’t forget to cover these three often overlooked issues. Ask your movers if for any reason in route to your address if they are delayed, to please contact you to keep you informed. This way, if you have to do some last-minute planning while the movers are delayed, you can handle it and still be ready for their arrival. Time is money. Be very careful of adding several miscellaneous items or boxes, because these items can make your move very costly. Finally, please label ALL of your boxes. This will help us to place the items in the right place, where you want them (e.g. bathroom, master bedroom, kitchen, etc.). The best place to put the label is on the side of the box. Most people hate to move because of the stress that comes with moving. With several years of moving experience under our belt, we’ve learned a thing or two about what it takes to master a move. Here are a few tips to help keep your move on schedule, on budget, and as stress-free as possible. Anything the movers would need tools to disassemble, needs to be taken care of prior to the mover’s arrival. For example mirror off dressers, headboards unbolted from the frame of the bed, washer & dryer disconnected, completely empty the refrigerator, etc. Please remove all paper, breakables and fragile items and pack them in boxes. Have all boxes sealed with tape on both the top and the bottom, Color-coordinate your boxes for each room so that when you arrive to your destination, your boxes are ready to be unloaded where they belong. 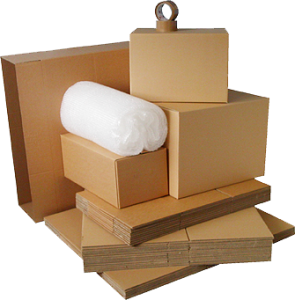 If you need packing material such as boxes, tape, paper, etc. Order the material with our Dispatch Agent, they will be deliver the day your contract is signed. Lawn mowers must be completely emptied of gasoline engines. Be Prepared – be completely prepared when movers arrive, so that your move runs smoothly and quickly (Have everything already boxed up). Payment Method – Have your form of payment ready as well. So once the move is complete, it will be a smooth transition. Arrival Time – Make sure you have your movers call before they arrive. This will help if they are running late, so you are not waiting around. Communication – Give your movers detailed information about the pickup address (e.g. Name of apartment complex, gate code, apartment number, etc.). Confirmation – Call the moving company the day before to confirm your move, if they have not confirmed it already ( just a little peace of mind). Additional Details – If you need any additional items, please inform your movers the day you book the move, so that everything will be ready and there are no delays on the day of the move (e.g. Boxes, mattress Covers, Packaging, etc.). Number of Movers – Make sure to ask the moving company when you book the move, how many men that they think you will need to complete your move (Most customers don’t know or assume that 2 men will get the job done, when it actually may require 3 or more. This will save you time, money and undue stress).